How much capital should you allocate to equities for growth and bonds for safety? Let us help you find the right balance. We can model your expected cash inflows (e.g., savings) and cash outflows (e.g., retirement living expenses) to find the right mix given historical market returns and inflation. U.S. tax law treats capital gains, interest payments, ordinary dividends, qualified dividends, and returns of capital differently. 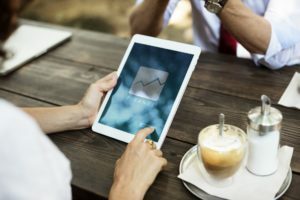 You may benefit by placing income producing assets such as corporate bonds and REITs in tax advantaged accounts (e.g., IRAs) and capital growth assets such as common stocks in taxable accounts. We can help you put the right securities in the right account for favorable tax treatment.